Book Club Discussion Questions | Shannon Winslow's "Jane Austen Says…"
I enjoy personally visiting book clubs more than almost any other aspect of being an author. Contact me if you would like me to visit yours. I’d love to do it if it’s logistically possible. Failing that, however, here are some questions which you can copy and use in your group for a livelier discussion of my novels. WARNING: Some of the following questions contain SPOILERS. It’s recommended that you do not read or distribute these questions until AFTER finishing the book! 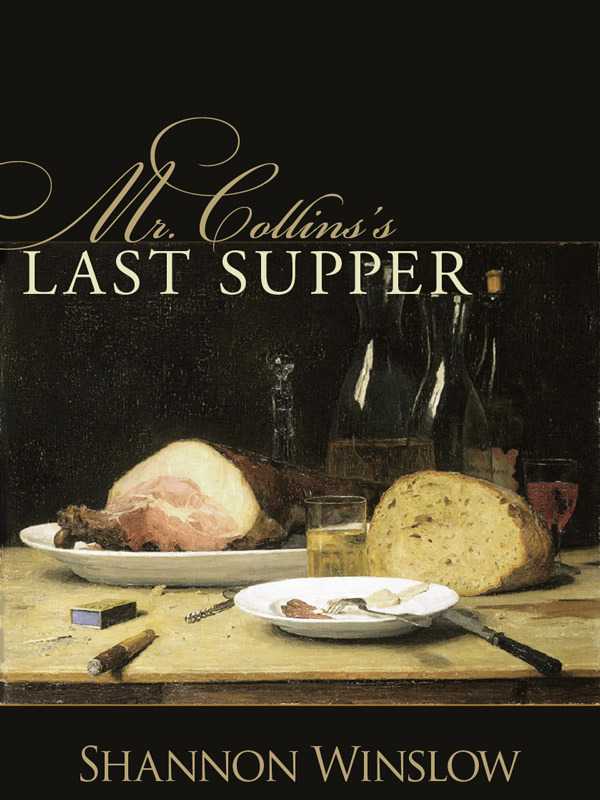 The author made killing off Mr. Collins her very first literary act. Do you censure or applaud her for it? Did you feel the level of sexuality in the book was appropriate? Do you think the author was successful in her goal to be true to the characters and style of the original novel? Remembering the societal constraints of the time, did Elizabeth come across as a strong, independent-thinking heroine? Which new character intrigued you and why? What made you laugh? What made you cry? Did you learn anything new/interesting about Regency life from this book? Did you find the ending satisfying? Why or why not? If you could ask/tell the author one thing about this book, what would it be? 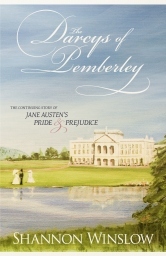 Did you find Mary Bennet a credible heroine? Could you identify with her (perhaps more so than with her practically perfect sister Elizabeth)? Which of Mary’s three potential suitors were you rooting for, and why? Were you surprised, along with Mary, to discover that Kitty and Tristan were already married? The Jane Eyre twist in the novel was NOT preplanned by the author; it evolved as she wrote. Did you enjoy this aspect of the plot? 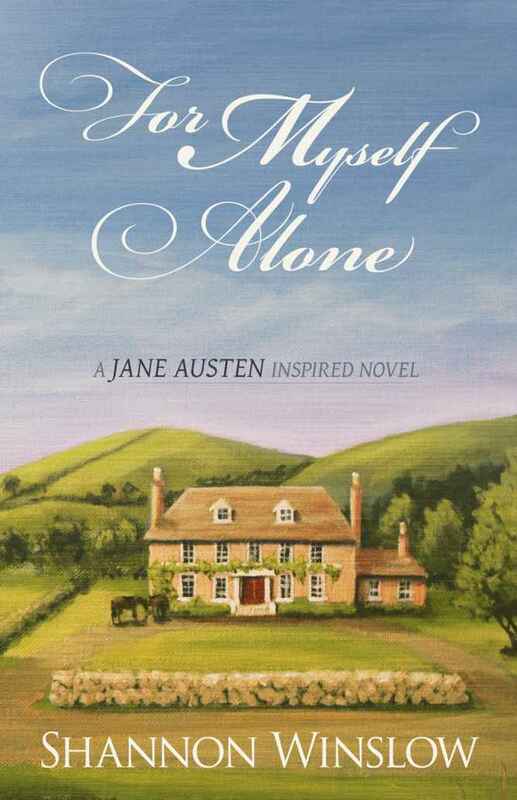 The author’s intention was to write what she most wanted herself – another story of the type Jane Austen wrote. Do you think she succeeded? Did you enjoy the first person/present tense (part 2) presentation in this novel? Did you ever have any doubts as to which young man should/would win Jo’s heart? The author considered, but finally rejected, the idea of redeeming Richard Pierce. Would you have liked to see this happen, or did you prefer that he ended as written? What did you see as Jo’s most admirable character trait? What is her biggest flaw? What was most surprising/interesting about the legal system or breach-of-promise suit represented in this book? 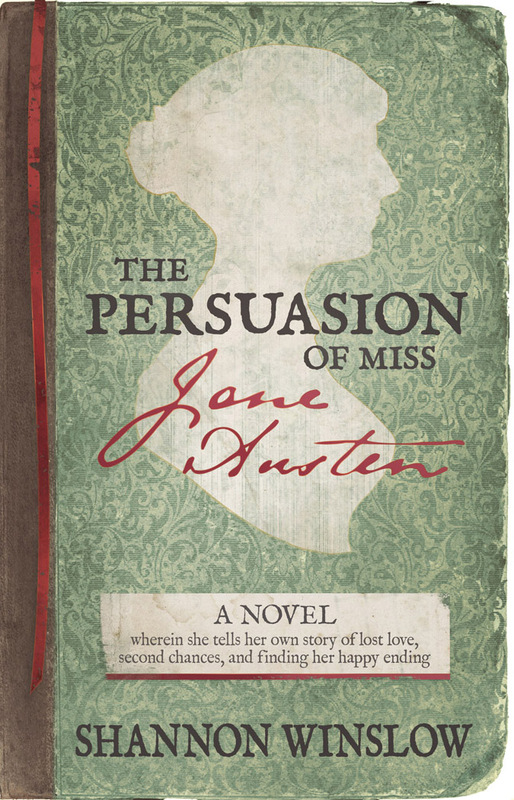 Do you think a working knowledge of the book Persuasion was necessary to understand and appreciate this book? Did you notice that, as the story progressed, Anne Elliot and Captain Wentworth seemed to become real people to Jane? Did you experience a similar blurring of the lines between “reality” and fiction as you delved deeper into the story? 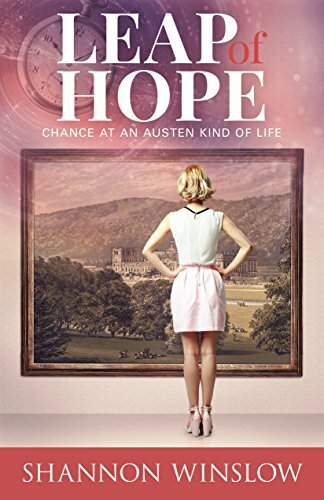 Since this book was written from Jane Austen’s point of view, everything she knew or imagined could legitimately be introduced. Did you enjoy finding references to her other novels slipping through her mind and into the story? 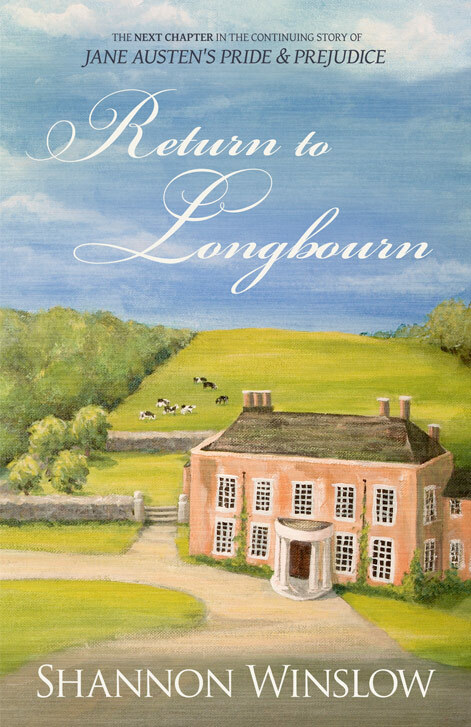 Has reading this book inspired you to learn more about Jane Austen’s life or to reread one of her novels? What part of this book made you laugh? What made you cry? 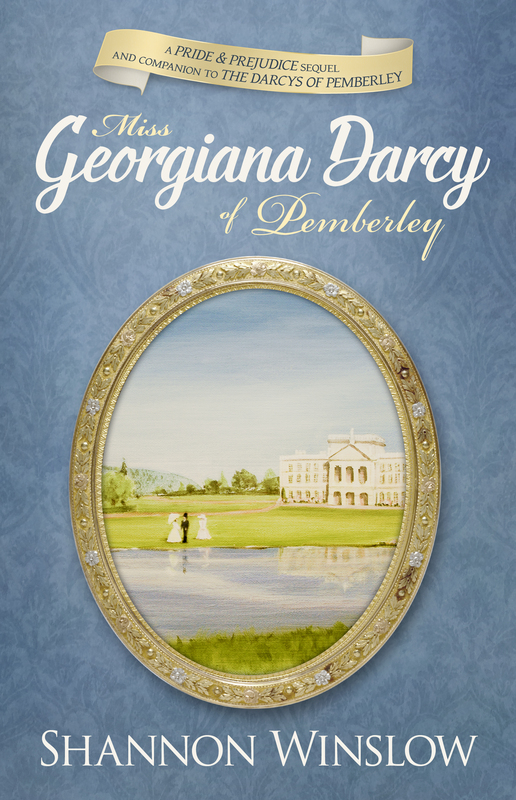 Did you learn anything new or interesting about the Regency life by reading this book? Did you find the ending plausible and satisfying? Why or why not? 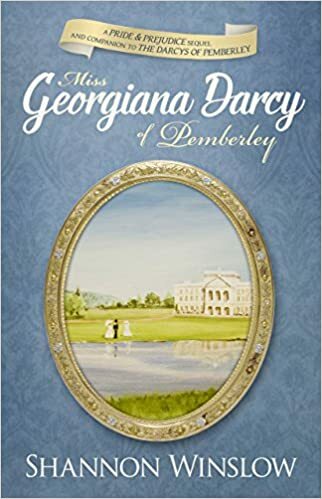 Did the Georgiana Darcy portrayed in this novel match your preconceived ideas of her? On what were those ideas based? What aspect of her more-fully developed character pleased or surprised you? Did you enjoy Georgiana’s reflections on important events of her past? Which of these events do you think shaped her personality most? Which supporting character intrigued you and why? Would you like to see a spin-off story written for him/her? What do you think of the “companion novel” format? If you had read The Darcys of Pemberley beforehand, did you enjoy this novel just as much? If you have not yet read TDOP, do you now plan to do so? What part of the story made you laugh? What made you cry? The author admits to being torn between Mr. Sanditon and Colonel Fitzwilliam as to who should “get the girl” in the end. Were you as well? Do you think Winslow made the right choice for Georgiana? 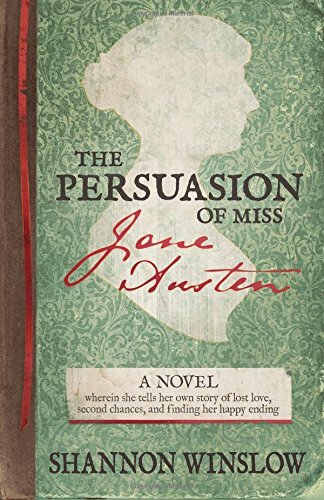 Who do you consider the leading lady of this novel, Lady Catherine or Anne, and why? Did you enjoy the format the author chose to use for this book – the characters taking turns telling their parts of the story in first person narration? If you had already read other books in this series, do you think that enhanced or diminished your enjoyment of this novel? Do you think Anne was right or wrong to choose Mr. Essex over Colonel Fitzwilliam? Would you have done the same in her place? Were you surprised to learn what had really become of Sir Lewis de Bourgh? Were you pleased with the way the author answered this question? What did you think of Anne and Mr. Essex’s ideas for putting Rosings Park to better use in the future? What part of this novel made you laugh? What made you cry? Had you ever thought much before about the premise of this novel: getting a second chance at life? Is there some point in your life where you wish you could go back and make a change? If you were in Ben’s shoes, do you think you would have made the same choice he did? What did you think about the first section of the book – Ben’s time at Crossroads? Did you enjoy meeting Cora, Poindexter, and Ben’s fellow “travelers”? Did the backdrop of baseball add or detract from the story for you? Did you learn something new/interesting about the game? Although this novel is considered “contemporary,” were you surprised by the reminder of how much the world has changed since 1991 – a world without cell phones or the internet? 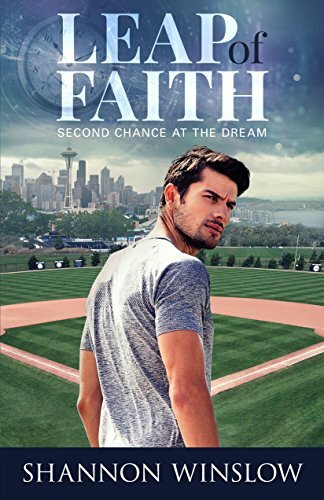 After reading Leap of Faith, are you interested in reading more books in this series? If you were in Hope’s shoes, without family or anything else to hold you here, would you consider trading in your current life for something entirely different? What kind of life would you choose? How well do you think you would make the adjustment to living in the early 1800s? What would you miss most about modern life? What would you be happy to leave behind? What did you think about the first section of the book – Hope’s time at Crossroads? Did you enjoy meeting Cora, Poindexter, and Hope’s fellow “travelers”? After reading Leap of Hope, are you interested in reading more books in this series? Are you now inspired to read (or reread) Mansfield Park?